Photo courtesy Jeff Hoffer Safety experts warn families to not use, store or purchases fireworks. They say the best way to enjoy is at public events where the fireworks are being handled by licensed professionals. These photo were from this week’s fireworks display in Ontario. Do not delay medical attention. Even “mild” injuries can worsen and end in vision loss or blindness. Do not rub the eye nor attempt to rinse out the eye. Avoid giving aspirin or ibuprofen to try to reduce the pain. Non-steroidal anti-inflammatory drugs thin the blood and might increase bleeding. Acetaminophen is the over-the-counter drug of choice. Do not apply ointment or any medication. These tips provided by the Ohio Eye Care Coalition. COLUMBUS — The Ohio Affiliate of Prevent Blindness, Ohio Department of Commerce’s Division of State Fire Marshal, Child Injury Prevention Alliance, and the Ohio Fireworks Safety Coalition joined forces at Nationwide Children’s Hospital today to educate Ohioans about the dangers of backyard fireworks. Ohioans are urged not to use backyard fireworks because of the high fire danger and the risk of personal injury – specifically to young children – and the potential penalty for breaking Ohio’s fireworks law. According to the 2017 U.S. Consumer Product Safety Commission, 12,900 people were treated in emergency departments for firework-related injuries. An estimated 8,700 fireworks-related injuries, or 67 percent occurred during the one-month period surrounding the Fourth of July Holiday. Injuries to children younger than 15 accounted for 36 percent of the estimated firework-related injuries. Young adults 20 to 24 years of age had the highest estimated rate of emergency department-treated, fireworks-related injuries. The parts of the body most often injured were hands and fingers (31 percent); head, face, and ears (22 percent); legs (17 percent); eyes (14 percent or 1,800 eye injuries); trunk (10 percent); and arms (a6 percent). There are three types of fireworks in Ohio, all of which are hazardous: Trick and novelty items such as sparklers and snakes that can be legally sold and used by anyone; exhibitor fireworks which require a license to sell, purchase and use; and consumer class fireworks such as bottle rockets and roman candles, which require a license to sell. Consumer fireworks can be purchased by anyone over the age of 18, but must be removed from the state within a certain timeframe and cannot be legally discharged in Ohio. Even individuals with fire safety training can be threatened because these devices are unpredictable and can take errant flight paths. Jay Northrup, a 23-year veteran of the Euclid Fire Department in Euclid, Ohio, was discharging backyard fireworks in 2016 when a dud he was examining suddenly exploded. The blast threw him to the ground, leaving him completely disoriented and unable to see. The impact from the explosion caused a subdural hematoma, one of the deadliest of all head injuries. Once doctors controlled the bleeding and pressure in his brain, they turned to the cuts on his forehead that required 35 stitches to close. His face was also burned and bruised. “I thought I was dying”, he said. Now, he is on a mission to make sure no one else becomes a statistic. “My advice for celebrating the Fourth of July? 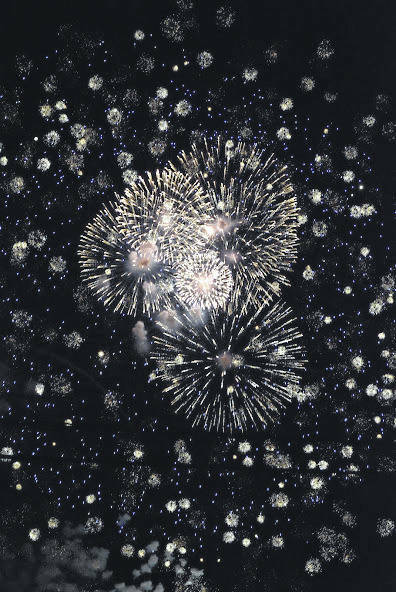 Leave the fireworks to the professionals or, better yet, just go have a nice family picnic”, Northrup said. In Ohio, in 2017, fire incidents involving fireworks caused 25 structure fires, resulting in an estimated $93,900 in property loss and $17,701 in content loss. In total, there were 78 fire incidents involving fireworks reported for 2017, with an estimated $109,555 in property loss and $18,176 in content loss. The size of the fireworks product is no indication of the amount of the explosive material inside it. The major causes of injuries are due to delayed or early fireworks explosions, errant flight paths of rockets, debris from aerial fireworks, and mishandling of sparklers. Sparklers, often given to young children, burn at 1,200 degrees or even hotter, which is hot enough to melt copper. Prevent Blindness has these tips to help prevent fireworks-related injuries: Do not purchase, use or store fireworks of any type. Sparklers are dangerous and caused 44 percent of fireworks injuries in children five years old and younger last year. Protect yourself, your family and your friends by avoiding fireworks. https://www.morrowcountysentinel.com/wp-content/uploads/sites/29/2018/07/web1_Ontario-fireworks.jpgPhoto courtesy Jeff Hoffer Safety experts warn families to not use, store or purchases fireworks. They say the best way to enjoy is at public events where the fireworks are being handled by licensed professionals. These photo were from this week’s fireworks display in Ontario.